Season Whatever of Discovery Channel's Alaskan Bush People premieres Wednesday, June 14. Have you seen the teaser trailer for the new season? Man, that's depressing. It's going to be a long, terrible season. 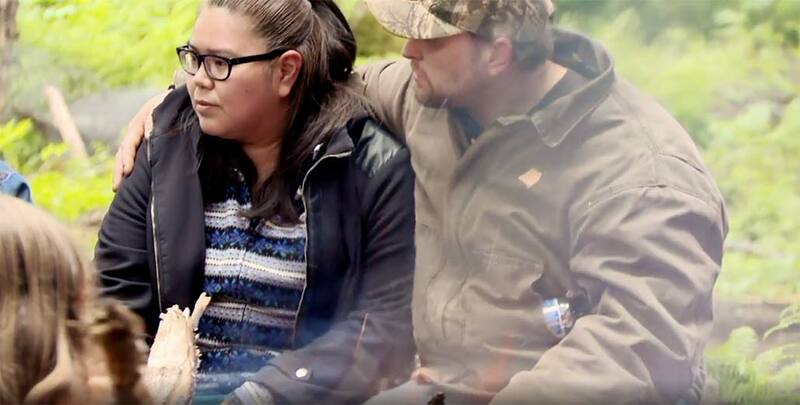 Discovery Channel announced that the new season of 'Alaskan Bush People' premieres in June, and it's already shaping up to be an unusual season. 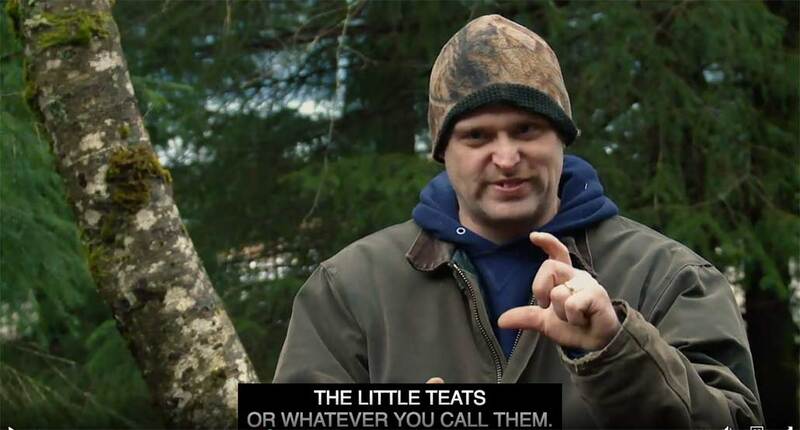 To raise our spirits and gird ourselves for the ordeal ahead, we offer a tribute to the only honest, pure, wise and genuinely likable cast member of Alaskan Bush People. Hoonah resident Kenny Worrell is a true Alaskan Bush person. Keeper of scrap. Fighter of fires. Milker of cows. Chaser of chickens. Conqueror of death. With his command of heavy machinery, Kenny moves and shapes the Earth as he wills it. Many a once-mighty vessel, refrigerator or computer cabinet has met its end by the blade of Kenny's bulldozer. We first encountered Kenny in the Season 2 episode "On the Prowl." Matt and Noah went to the junkyard in Hoonah to look for parts to build a bush stove. There, they met Elijah and his buddy Kenny. Kenny was absolutely crazy, or so we thought. No, Kenny's craziness was merely his Bush joie de vivre. Beneath the facade of insanity lies one of the most shrewd and sagacious minds Alaska has ever bred. 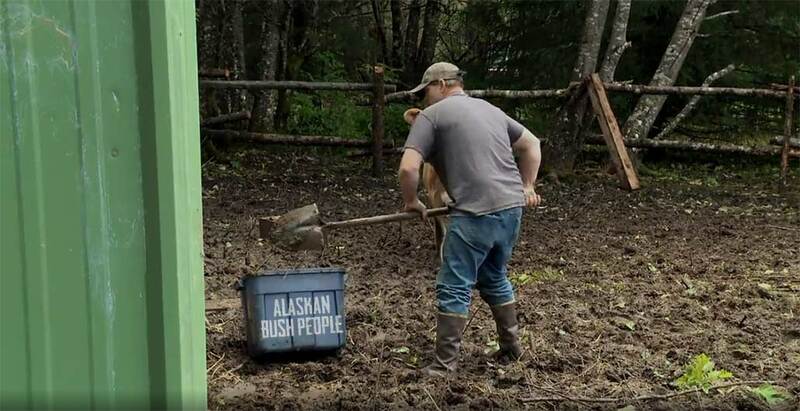 Fortunately, the Alaskan Bush People crew realized what a gem they'd unearthed in Kenny. Kenny would make his presence known again briefly in "A Wolfpack Divided." Kenny knew this guy, Bryce, who was willing to pretend to have a menial job for the Browns so they could buy a wood-burning stove for their cardboard-insulated cabin. In Season 2's "Bloodlines," Kenny once again comes to Matt's aid. The Browns take a job demolishing a woman's shed. After some AWESOME and EXXXXTREME "interior desecration," Matt goes to retrieve his secret weapon: Kenny and his pickup truck, "The Beast." After tying the shed's supports to "The Beast," Kenny gives 'er gas until the whole structure comes crashing down. “How you like them apples? !” Kenny yells. Kenny, them apples are magnificent. In an episode that coined the term "Lost Footage", we see Kenny in all his glory, driving around his dump and crushing scrapped boats with a bulldozer. How could anyone think such a beautiful scene should be relegated to the Lost Footage pile? 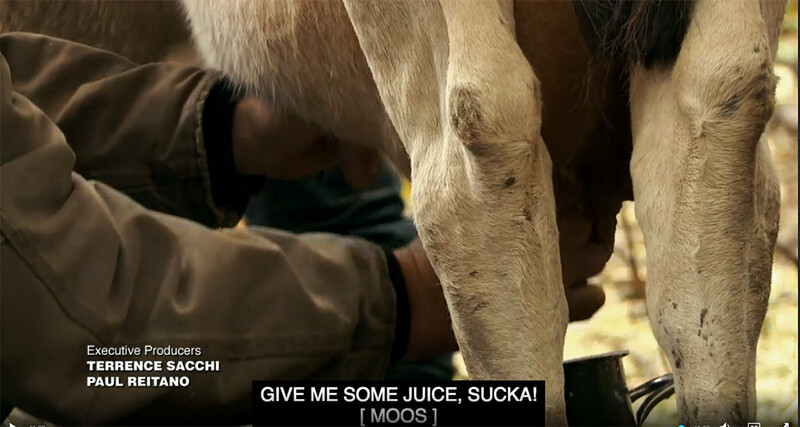 This show's editors are imbeciles. Kenny makes a delightful pun about walking over driving, calling it taking your "Chevro-Legs." Matt, I love Kenny from the junkyard. I think Kenny needs to become an honorary member of the Brown family. I could just watch you and Kenny bulldoze stuff in the junkyard all day. Would you consider doing a spinoff show or going into business with him? Matt: [Laughs] I might consider it! I don’t know. He’s a heck of a character, though, isn’t he? He’s a good guy. He is. He’s kind of crazy, but he’s really actually very witty and clever in the stuff that he says. Matt: Yeah, that’s it. That’s a bush boy for you. We might be totally loco, but we still have a few things rattling around upstairs. 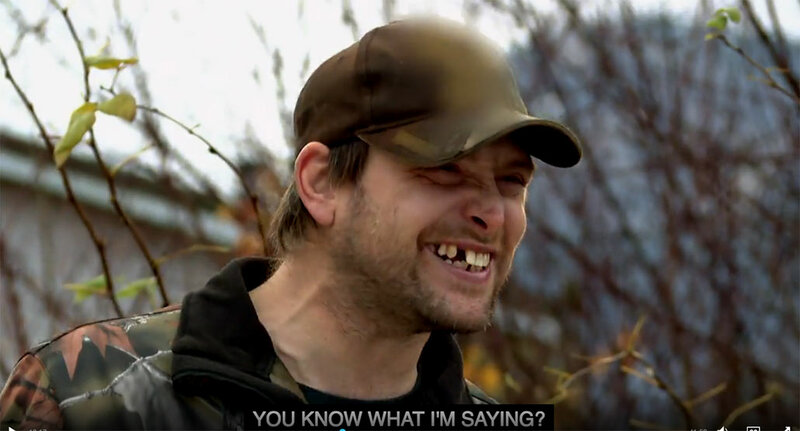 Kenny would have a role worthy of his talents in the episode "Shots Fired," helping Matt find a metal computer cabinet to use for his failed root cellar project. Finally, Kenny gets some decent lines to work with. “What comes from the earth shall go back to the earth,” says our wise Confucius of the Bush. Kenny would then make his first visit to Brownton Abbey. He was given a tour of all the stupid things Matt built, including a Bush Doorbell. “Gotta have a gong, you know,” Kenny surmises. But Kenny's visit to Brownton Abbey would be fraught with peril. After helping Matt with the failed root cellar project, Kenny was not seen for the remainder of the season. 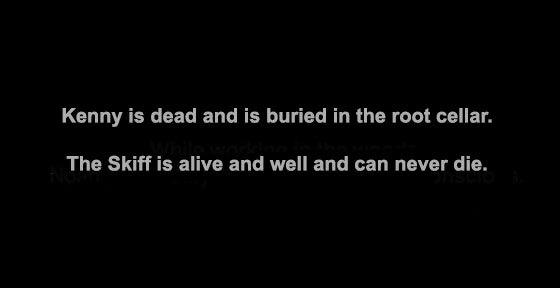 This mysterious disappearance led many of Kenny's devotees to wonder if Matt had killed Kenny and interred him in the root cellar. It would not be until "The Wolfpack Returns" that Kenny's specter or a very good CGI rendering of Kenny would appear, as the Browns visited Kenny's dump in search of empty oil drums to make the barge for their fake "Dragon Samurai" hauling job. Then in "Growing the Wolfpack," Matt visited Kenny's ghost at the dump seeking a metal grate with which to grill meat. “I think the reason that I love a good dump, is because of all the stuff that’s here,” Matt says. “Straight from the Good Lord to the dump,” Matt says. “Ask and He shall provide!” Kenny's spirit rejoices. Matt doesn't get a grate at the dump, realizing that he already has one at home that's currently being used as a zombie-proof fence. Clearly Matt fears that Kenny's corpse will go Walking Dead on him. In "High Tide Housing," Noah visits Kenny's dump with the goal of turning scrapped propane tanks into bells for Brownton Abbey. Zombie Kenny gets the power cutter out of his truck and saws the propane tanks for Noah's stupid idea. I'd watch a whole episode of nothing but Kenny using power tools. Kenny had two scenes in the special episode "Made in the Wild." In Lost Footage, Bear goes to the dump to look for a door for his treehouse. Kenny's dump has “lots of shot-up” car doors, but Bear finds an EXXXXTREME red one that meets his standard of AWESOMENESS. 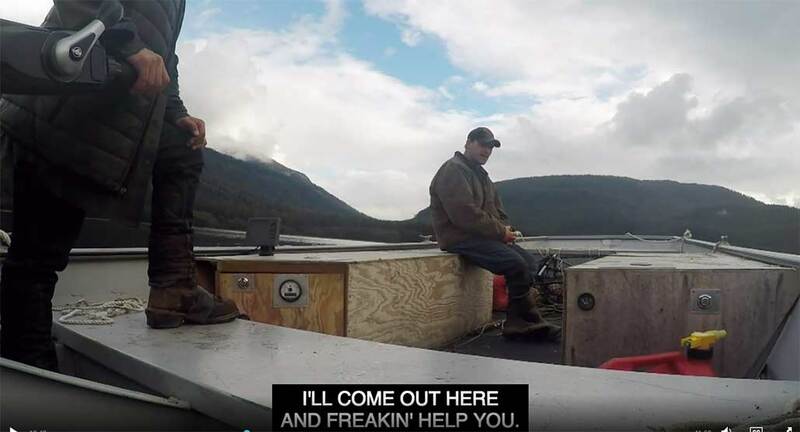 Later in the episode, we get Lost Footage of Kenny and Matt slicing up an octopus (“She’s a little sticky,” says Kenny) for some dude named Rayno to use as fishing bait. Last season, Matt returned from his rehab stint and had a joyful reunion with Kenny in "Browntown Boom." Matt then proceeds to desecrate Kenny's dump with a fire extinguisher. Asshat. Bringing Sabrina the cow to Brownton Abbey was a terrible idea, but it did lead to wonderful scenes in "Dead in the Water" as Kenny agreed to "freakin' help" take care of Sabrina while the Browns went on their fake seaplane towing job. Kenny and Sabrina got along swimmingly. So did Kenny stay at Brownton Abbey for two weeks, or did he commute from Hoonah every day? Who watched the dump in Kenny's absence? All this would've made for some excellent backstory instead of the crap they actually threw onscreen. Alas, poor Kenny is made to do some of the Browns' really dirty work. In "Field of Dreams," Matt comes to the dump in search of an old freezer to bear-proof the family's stores of meat that don't really exist. We get a rather extensive look at other areas of the dump, particularly the areas where Kenny stashes the good stuff for his own use. We also learn that Kenny keeps severed deer heads in his truck, just in case someone wants to poorly perform Hamlet. Well, it’s the only way I can protect it out here, ’cause the bears are freaking running around, you know? I was supposed to go goat hunting and moose hunting, but, like, a day before my partner got chewed up on that mountain up there by a bear. Yeah. Oh, yeah. Good thing there was two people, you know what I’m saying? 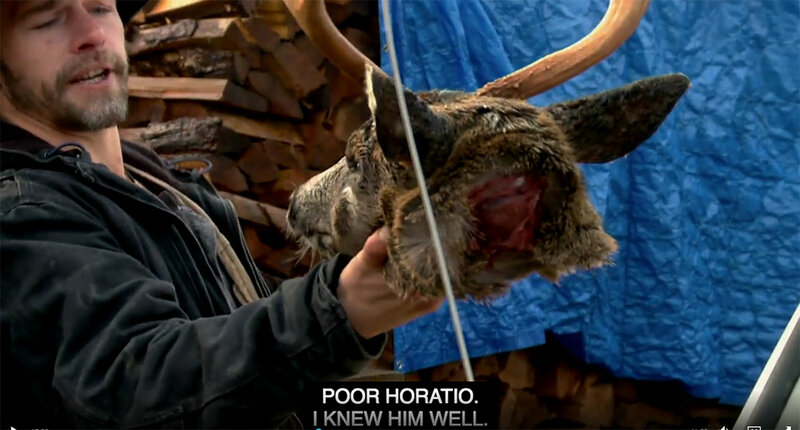 He had to end up shooting a bear and killing a bear when it was trying to bite him in the head. It had him pinned down and it was gonna, you know, PBHT!, finish him, and his partner BA-GOOM! Yeah. That’s why I didn’t go goat hunting and moose hunting over there. Kenny speaks truth. This story was in the Alaska Dispatch News. Then in the special episode "Forever Browntown," Kenny is among the handful of guests who come to Billy's Bush Barbecue. Kenny comes with a Plus 1, who it turns out is actually Kenny's wife. 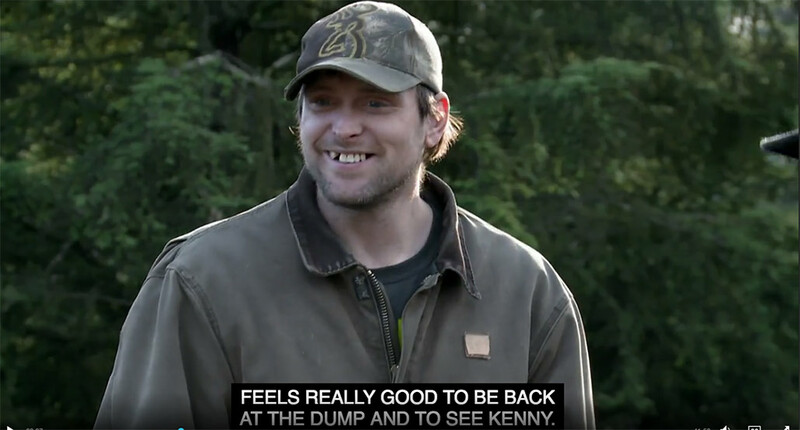 So while this upcoming season promises doom and gloom, we're told that at least we can count on Kenny to make watching this show barely tolerable. Matt and Kenny were filming yesterday. Maybe Kenny will get all of Matt's screen time.